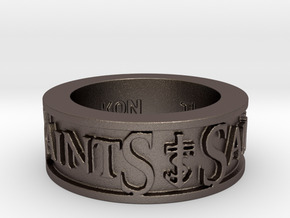 THE OFFICIAL BVNE SAINTS MEMBER RING! 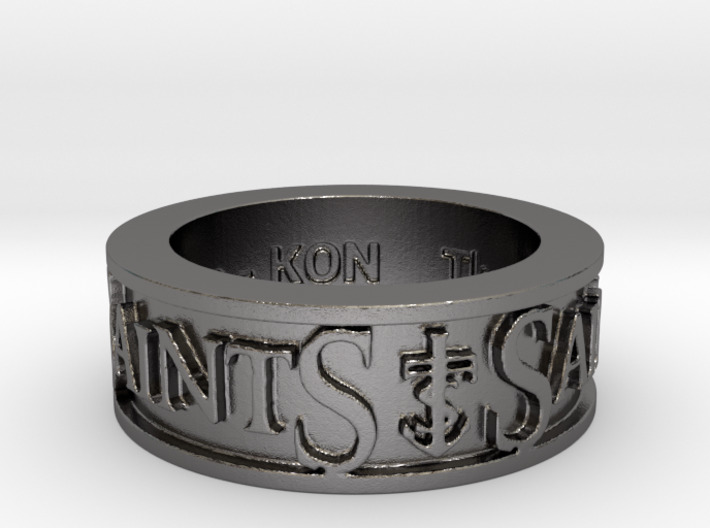 As a member of The Saints - whether official or honorary - this will signify to the world your loyalty and commitment to the ideals and philosophies that make this brotherhood what it has become! The ring is hearty, rough and strong - a reflection of the men that wear it proudly! Inscribed inside with The Saint's quote - "The rising tide raises all boats - KON"
- Engraved text is " The rising tide raises all boats - KON"